If you’re active on social media and scout around for recipes, you have probably heard about the cauliflower crust craze. And if you’ve ever tried making it yourself, you know how intensive a process it is. And I don’t know about yours, but mine came out kind of…not crunchy or like a crust at all, but more like…polenta. It wasn’t bad, but it wasn’t pizza. That’s why I’m really excited to try these more professional and perfected cauliflower-based crusts. 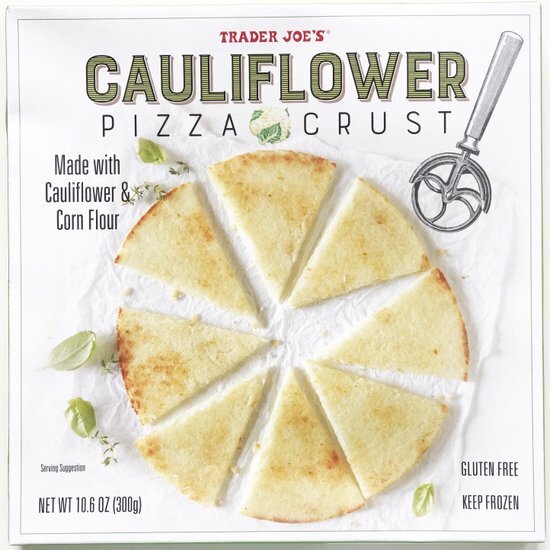 Trader Joe’s has just started carrying this corn/cauliflower-based crust (as of last week–hot off the press, or out of the oven! ), and I’ve read some positive reviews. Disclaimer: I haven’t tried it yet myself, but I’m so excited about it that I wanted to share the news asap! From what I’ve read, reviews are saying a mix of things, like it’s somewhat tasteless, so the toppings are the superstars on this dish; it’s not quite doughy like a traditional pizza; tastes like polenta; but oh so satisfying. One thing to consider: there’s no non-GMO label, so the corn is most likely genetically modified. That’s why I’d limit this crust to a once-in-a-while treat. Simple Mills (mix): I have tried this and enjoyed it thoroughly. It was slightly chewy and hit the spot, although be fair warned it’s not quite the same as a real-deal pizza. Nothing is, if we’re being honest here. But it does satisfy a craving for a dough-filled dinner. Pile them high with local veggies and sauce, and perhaps a sprinkling of cheese, and you’ve got an all-star meal packed with nutrition and flavor. Make one and share the photo and recipe here! I love this tidbit! Keep them coming! 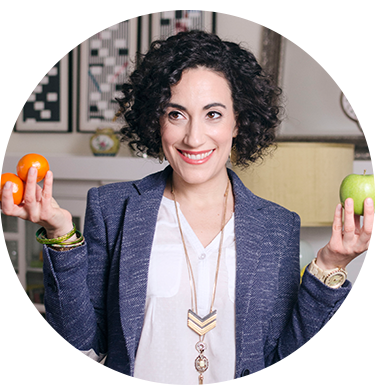 I love any suggestions you give…any advice on a quick and easy, but satisfying detox? 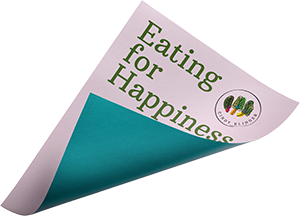 There’s a two-week detox I love from one of the supplement companies I use. I’ll reach out to you and send you the info!